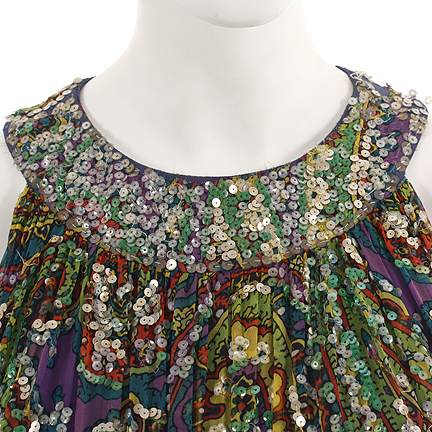 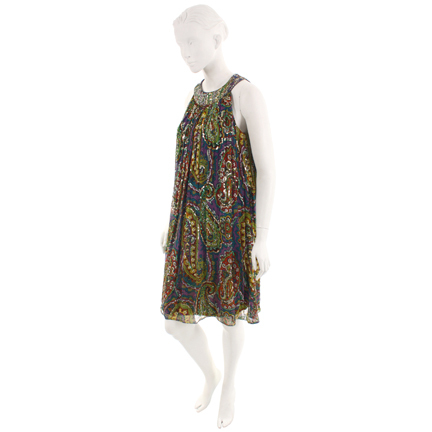 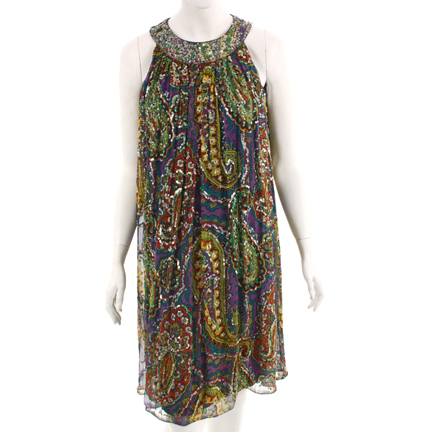 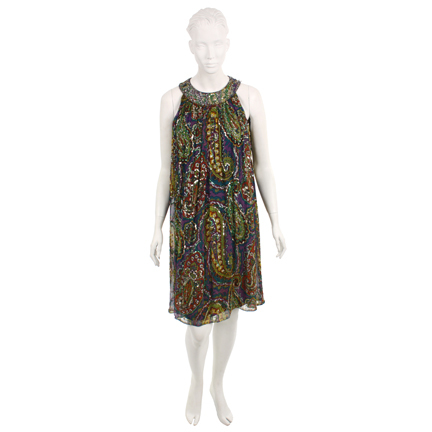 This dress was worn by the character “Jackie Truman” portrayed by Katie Holmes in the 2008 motion picture comedy, “Mad Money.” The mini dress is made of Silk with a multicolored paisley design and it is detailed with sequins. 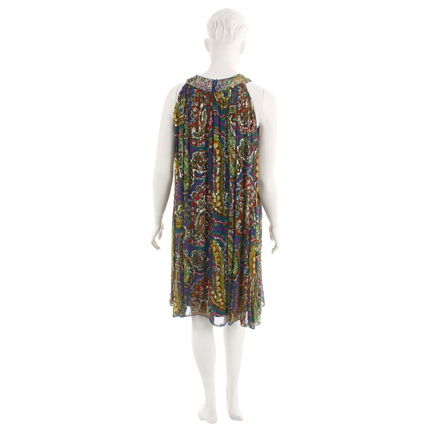 Ms. Holmes can be seen wearing this mini dress during the dinner scene where Nina Brewster (Queen Latifah) tells the team to stop spending money to attract attention. 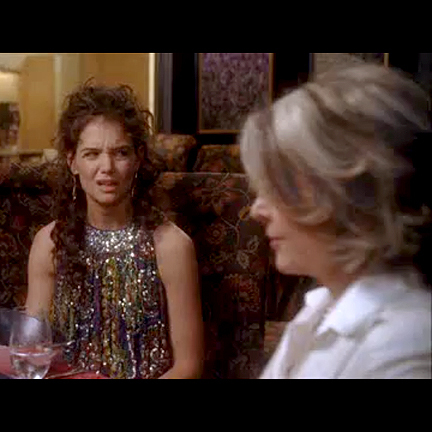 In addition to Holmes and Latifah, “Mad Money” also stars Diane Keaton as “Bridget Cardigan” and Ted Danson as her husband “Don”. 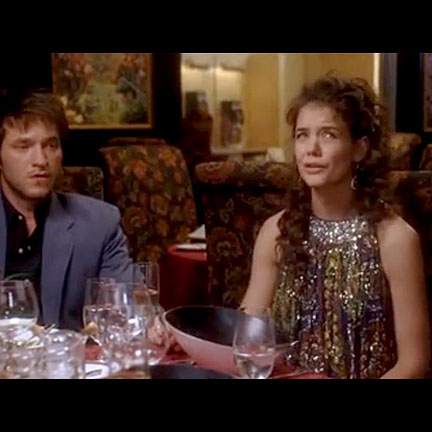 The film follows three female employees of the Federal Reserve who scheme to steal money that is soon to be destroyed. 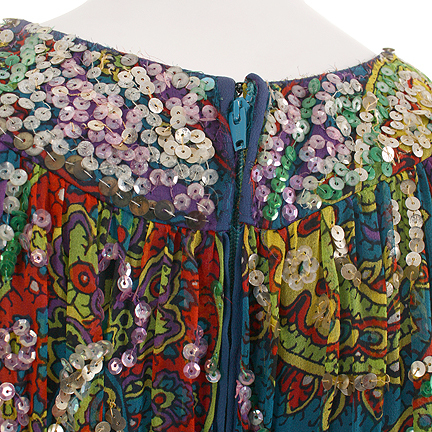 The dress is in good screen worn condition and is accompanied by a letter of authenticity from the costume house.